Zinnias Lite is a super clean and elegant, 100% responsive Blogger blog Theme. It’s perfect for your personal, travel, lifestyle, food and recipes, storytelling Blog. If you want to focus or showcase your content in a timeless manner, this is right choice for you. It follows the latest trendy design with a combination of pure elegance. With Zinnias Lite, you can get right to the point, presenting your content in a clean and minimal way. 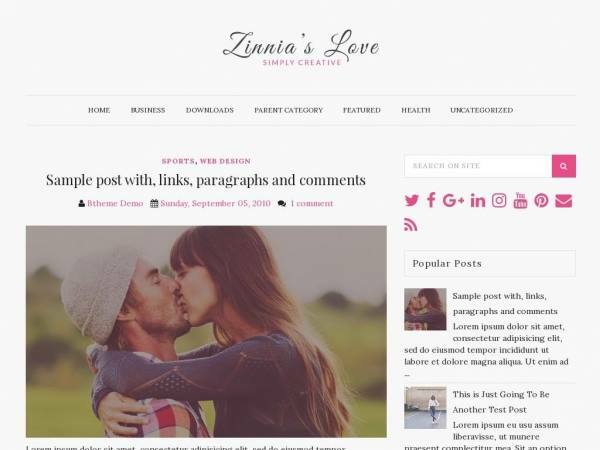 Zinnias Lite Blogger template has a right sidebar, top navigation menu, related posts with thumbnails, social and share icons, auto post summaries, Google web fonts and more.